Phantom sensations are said to be present in in all amputees and in children born with missing limbs. It is thought that since the sensations are present in children born with missing limbs the human brain is “hard wired” in the somatosensory cortex (the strip of brain that runs between the ears) to expect sensation from all 4 limbs. Historically the causes of phantom pain have focused on the stump. Pain has often been ascribed to local nerve stump irritation, however as our knowledge of the nervous system improved the proposed causes of phantom pain have migrated centrally, initially to integration of information in the spinal cord, and then to the central processing of information in the higher centres of the brain especially the somatosensory and motor cortex. It has recently been postulated that Phantom limb pain is a manifestation of a need like state of the mind to “feel and see” the limb move. 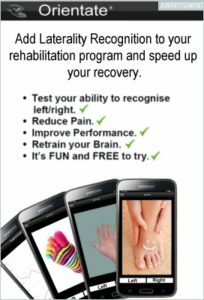 This hypothesis is backed by the work that demonstrated reduced pain after use of an electric prosthetic limb, which showed normalisation of the somatosensory cortex in the pain relieved state. 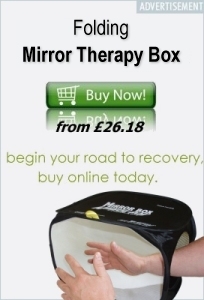 It is also validated by the use of mirror box therapy in the management of phantom pain states. This concept of phantom pain arising out of an imbalance between the sensory evaluation of incoming information from the missing limb and the motor co-ordination of the limb is now central to both the efficacy of mirror therapy and the modern concept of phantom pain as a central (brain) problem rather than a stump or peripheral problem. 1. The main stays of treatment for phantom pain revolve around the use of standard neuropathic medications. For example drugs, such as anticonvulsants, tri cyclic antidepressants and opioids. 2. Topical therapies to reduce stump irritability are also advocated, capsaicin cream, steroid injections and lidoderm patches. 3. Stimulation therapy, TENS, Spinal cord stimulation. 4. Mirror therapy and visualisation techniques.